If you had to choose between escaping to the mountains or the ocean which would you choose? I’m more of an ocean person but in a perfect world I’d be happy perched along the Pacific Coast on a mountain overlooking the ocean. The best of both worlds is always a good thing. Believe it or not the Pacific Ocean in Southern California is too cold to take a dip in many months out of the year. But this doesn’t faze surfers who come prepared wearing wet suits. 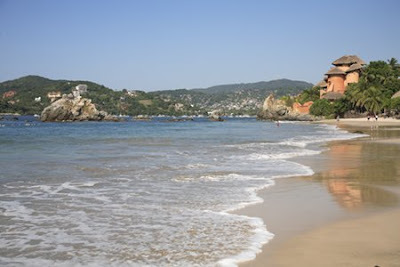 Further down the coast in Mexico, the waters of Zihuatanejo were the perfect temperature last November. In order to get this beach view of the Burj al Arab in Dubai you’ll need to pony up to stay at an exclusive beach resort or pay for a day pass. Or if you are like me you somehow manage to walk past the receptionist and cabana boys handing out towels as you enter the beach despite the fact that you are carrying heavy camera equipment and in no way are dressed for the beach. Known as the Windy City Essaouira in Morocco is a wind surfer’s paradise. It’s the perfect place to sit under an umbrella and take in the ocean breeze. Having said that, let me add that some of my best memories are linked to beach holidays. Definitely the ocean. Give me a patch of white sand in Tahiti and I'm happy. 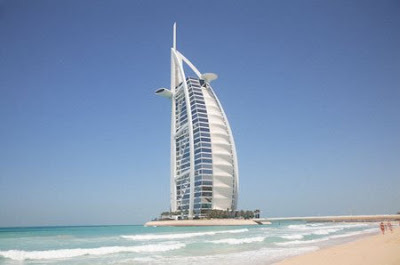 Though the experience of the beach at Burj al Arab sounds rather tempting. That's a tough choice - I'll have to go with ocean since it's so warm right now and take the mountains in the fall. 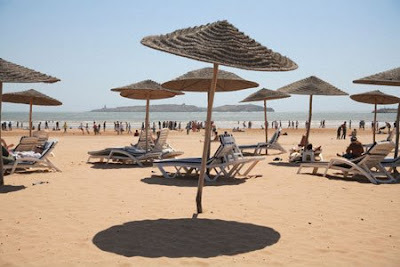 I love the beach at Essaouira! The beach I have a hate-on most? Cancun, Mexico! The undertow is just vicious (January). I got pulled down, and after a major struggle and just about to give up, my friend saved me. The next day, this same friend who saved me almost met his death while body surfing when the undertow swept him far, far away. When we called the life guard (there were 2 of them out in the sea), the life guards even HESITATED to go fetch them. When Lifeguards are hesitating, you know it's dangerous! And to think, it was green flag for swimming that day. I can't imagine what a red or black flag would mean! My fave beach? Boracay Island, Philippines - before the crowds came! I'm with you Wnedy. I'd like the ocean with a mountain view, although I'm really a beach person. la playa please! nothing wrong with mountains, but i am a bad, bad norwegian, and i'll always go to the beach if i have a choice. It has to be the beach. Doesn't need to be anything exotic either. 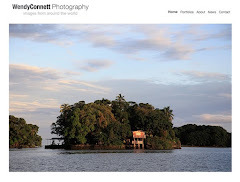 I get uneasy when too far from the coast. Zihuatanejo, by the way, is the site of Andy Dufresne's new life in "The Shawshank Redemption." Wow. Seems like the majority prefers beaches. Jen, that sounds like a very close call. Yikes. Roy, I didn't know Shawshank was filmed there but I can see why. The world is home to many eye catching and appealing beaches and definitely flights to Dubai will take you to an exotic place. The Dubai beach resorts are surely expensive to stay at but the pleasure and entertainment is worth every penny spent. Very interesting stuff, I came here through google searching some good stuff for my website Umrah packages and found this post very useful, helpful and relevant keep it up.